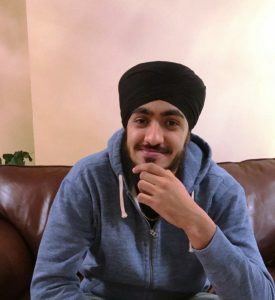 ONTARIO’S Peel Regional Police announced on Saturday that a third male has been arrested in the murder of Paviter Singh Bassi of Brampton. On Friday (March 23), investigators arrested and charged Gurraj Bassi, 21, of Brampton, with first-degree murder. He is not a relative of the victim. He is the cousin of Karanvir Singh Bassi, of Brampton, who was arrested and charged with first-degree murder in the same case on March 20. On March 21, Guryodh Singh Khattra, 22, of Brampton was arrested and charged with first-degree murder in the case. On March 19, at approximately 5:50 p.m., officers responded to reports of an assault taking place in the area of Sandalwood Parkway East and Cedarcliff Trail in the City of Brampton. Upon arrival, officers located Paviter Bassi suffering from life-threatening injuries. He was rushed to a Toronto Trauma Centre and succumbed to his injuries the following day.